Education & Experience. James “Jay” Griffin has won numerous awards, written for various publications and made a host of presentations relating to energy and costs. He holds an undergraduate degree in political economy, two separate master’s degrees in economics, and in public policy and environmental management and earned his Ph.D. in policy analysis. He’s worked for the RAND Corporation as a policy analyst in Santa Monica, California; a conservation organizer for the Sierra Club, Hawaii Chapter; and as a watershed inventory and assessment project manager for the Hanalei Heritage River Program. 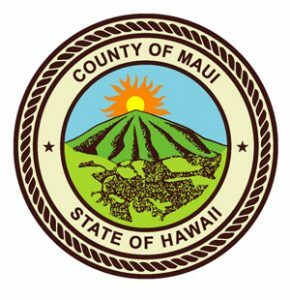 He’s currently on a leave of absence from his post as assistant specialist for the Hawaii Natural Energy Institute and now serves as chief of policy and research for the Hawaii Public Utilities Commission. 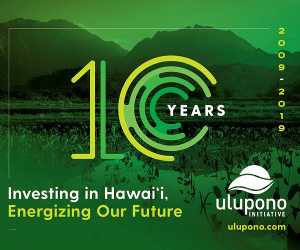 His professional associations and affiliations include member of the Hawaii Clean Energy Initiative Electricity Working Group and a mentor for the Hawaii Renewable Energy Venture Energy Excellerator. What do you hope this Energy Conference will accomplish? I believe this Energy Conference is an outstanding opportunity and setting to discuss the future of the electric utility industry. 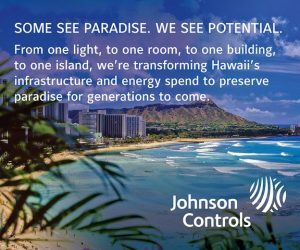 Hawaii’s local utilities are a “postcard from the future.” We are currently experiencing many of the forces that will shape other utilities in the future. By addressing many of these pertinent issues today, we hope to set a model for the future of the utility industry. What is your vision for the future of energy? Clean, affordable energy services with an array of new choices and opportunities for customers. Why do you think it’s been challenging to transition from fossil fuel generated power to alternative renewable energy? Electric utilities and the regulatory model are a complex system that does not change overnight. That said, Hawaii has been increasing the amount of renewable energy at a rapid pace because the economics favor renewables relative to today’s price of oil. Hawaii has the highest electric rates in the United States. How do you think this should be addressed? Electric utilities and the regulatory model are a complex system that does not change overnight. That said, Hawaii has been increasing the amount of renewable energy at a rapid pace because the economics favor renewables relative to today’s price of oil. Why do you believe it’s important to have open and frank discussions about the future of energy? Electric utilities and the regulatory model are a complex system that does not change overnight. That said, Hawaii has been increasing the amount of renewable energy at a rapid pace because the economics favor renewables relative to today’s price of oil.